With a line-up featuring Groove Armada, Marina and the Diamonds, The Eighties Matchbox B-Line Disaster, The Big Pink, Chase and Status, Delphic, Wild Beasts, The Slits, Ellie Goulding, Broken Social Scene, The Sunshine Underground, Fenech-Soler, Chapel Club and many, many more, it's fair to say that The Great Escape Festival 2010 really deserves the "great" tag. The Great Escape festival first appeared in 2006 and has consistently sported an excellent, contemporary line-up (these are just some of the bands who have appeared since 2008: Lightspeed Champion, The Young Knives, Crystal Castles, Peter, Bjorn and John, Maps, Micachu and The Shapes, Metronomy, Chew Lips, The Hold Steady and me playing 'Roll out the Barrel' on the spoons and washboard* amongst many other such luminaries). *That last one might just be a fib - my music skills are yet to be picked-up by the media. The Great Escape is more than just a festival of great music, though, there are also conferences, seminars and networking events for those in the biz - or wanting to get in the biz. Tickets cost £55 for all of the gigs (day and night) and afer-show parties, or £60 for a weekend with guaranteed entry to the Chase and Status gig, £70 for guaranteed entry to the Groove Armada gig, £15 for just the Chase and Status ticket or £25 for just the Groove Armada date. Three day 'Delegate' passes cost £150, giving you access to all of great gigs as well as the conferences and more. Of course, paying for tickets is not something a winner like you does - so win yourself a pair of weekend tickets by following the instructions, below. Perhaps the easiest way to enter the competition is via Facebook (provided you are a Facebook user, that is), all you need to do is pop along to our Facebook page (www.facebook.com/allgigs), become a fan - if not already, and comment " I need to escape!" 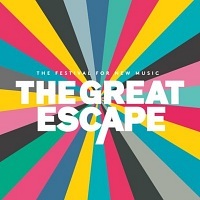 on the "Win tickets to the The Great Escape Festival 2010 taking place on 13th - 15th May" on our "Notes" tab. The competition is a prize draw, with the winner chosen at random, which closes at midnight on Sunday 2nd May 2010 - good luck!